Let’s be honest, what is there not to like about the title of this post? This past weekend I needed to bring some food to a cookout, and since I haven’t done much baking this summer, I saw this as the perfect opportunity to put my new kitchen to work. This is officially the inaugural batch of cookies in my new apartment. As you may or may not know, I eat bananas quite regularly, and I’m always worried about keeping a ripe supply at all times for my morning smoothies. Last week, however, I got a little overzealous and I ended up with some extras that got ripe real fast. 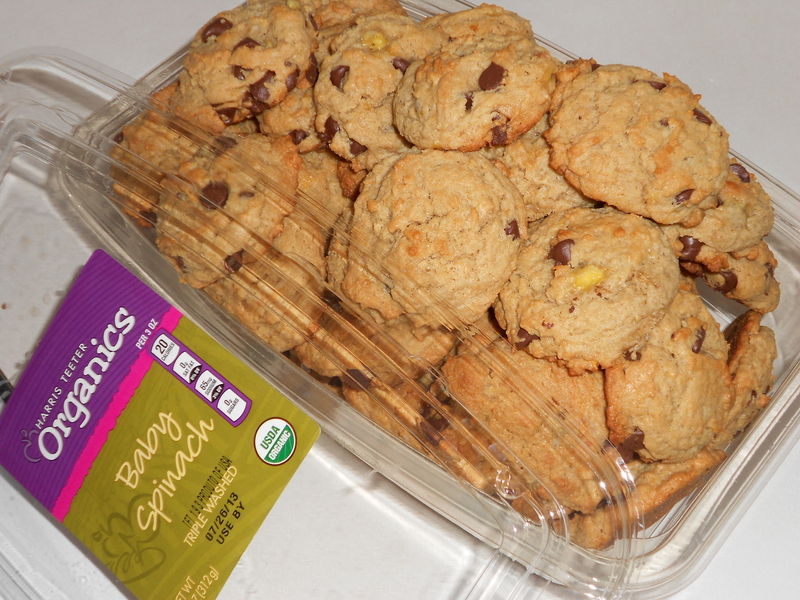 And thus: cookies with bananas. I quickly searched some of my favorite food blogs and ended up with this great recipe from How Sweet It Is. I love that blog! Let me tell you something. 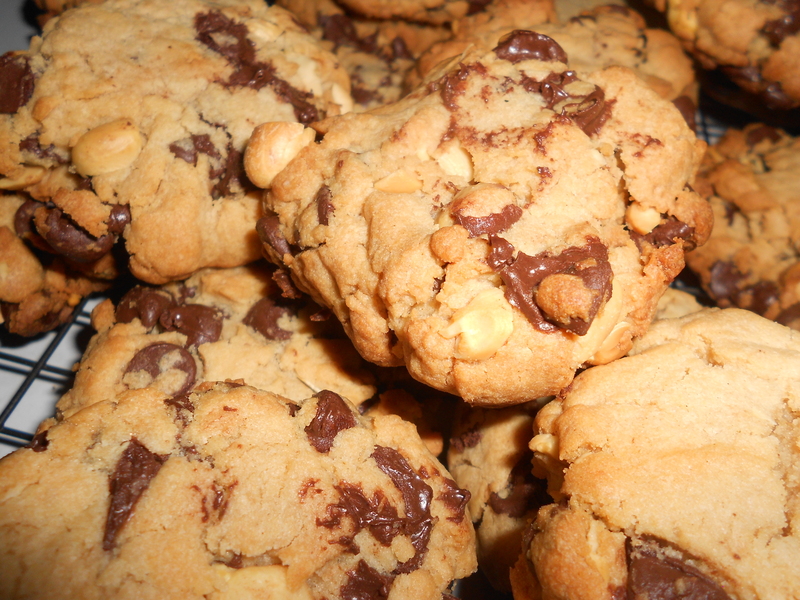 These are the best cookies I’ve made in a while. They are a great chewy texture that make them soft but not too light and cakey. Plus, I feel like the peanut butter and banana add some healthy components to a typical chocolate chip cookie, without making it a full on granola bar. BTW, These get even healthier when they are transported in an organic spinach container. Preheat oven to 350 (How Sweet It Is recommends 325, but my oven needed to be hotter). 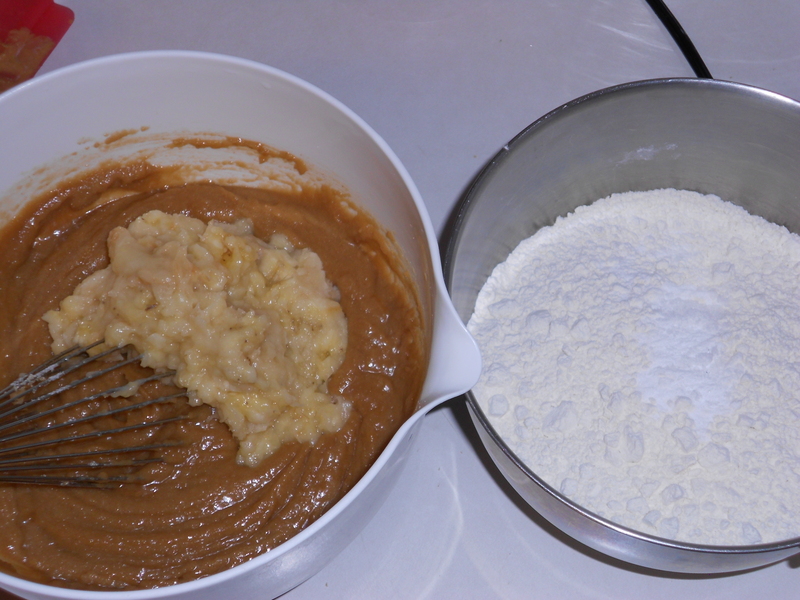 Combine the dry ingredients in one bowl: flour, baking soda, and salt. Set aside. I decided to play the game: use every bowl and every utensil in the kitchen. It makes cleanup a breeze! 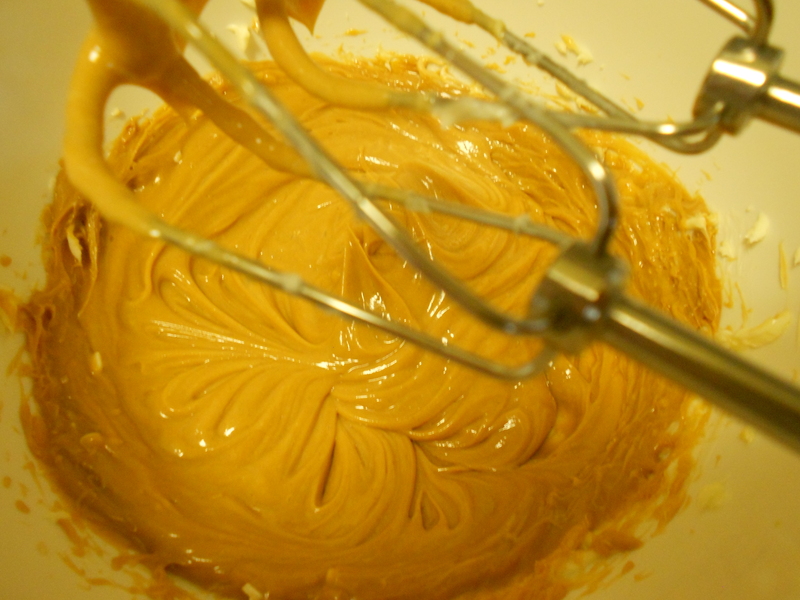 Combine melted and cooled butter and peanut butter in a different bowl. Wisk it together with the sugars and egg yolk. Then wisk in the mashed banana and vanilla extract. The mixture will not be smooth. 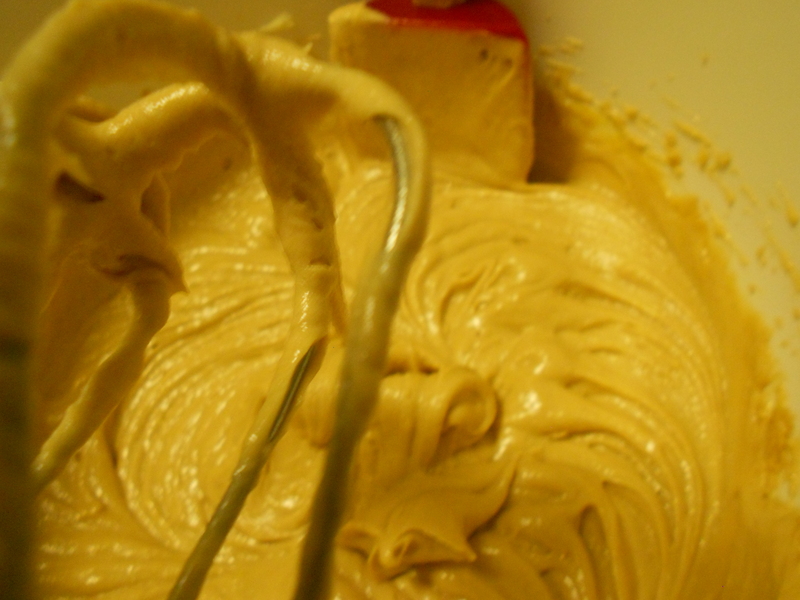 Slowly add the dry to the wet and use a wooden spoon to mix it (no hand mixer needed). 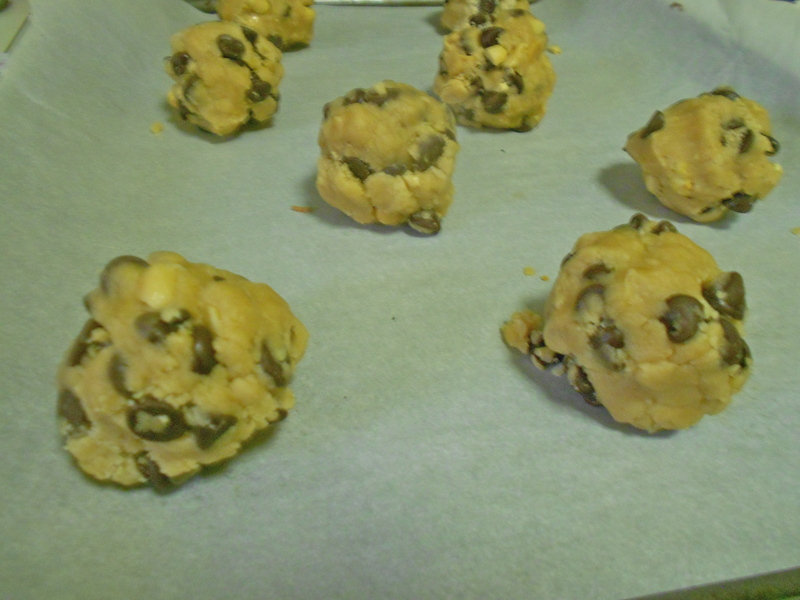 And finally fold in the chocolate chips. Portion out the cookies onto parchment lined cookie sheets and bake 10-15 minutes at 350 (again, my oven was way off from what the original recipe suggested so use your judgement). 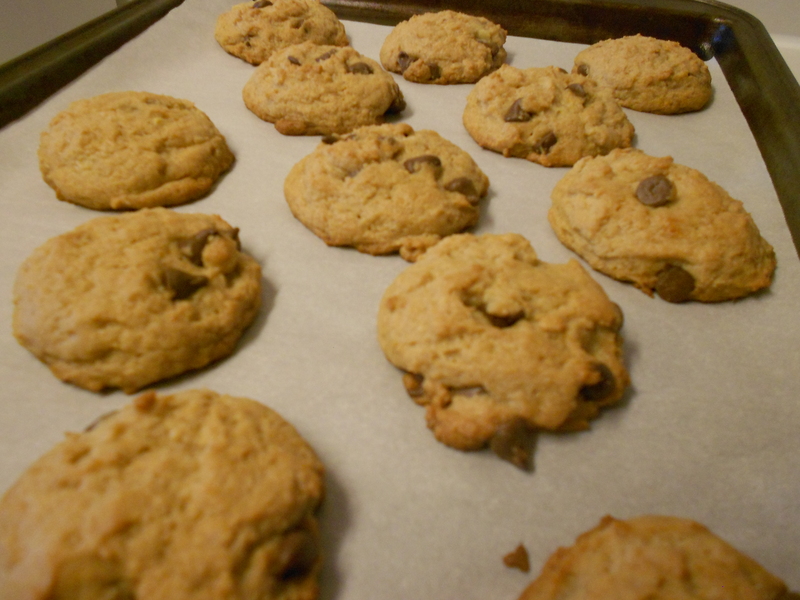 Cookies should be a light golden brown. So I’m going through a little bit of a granola bar baking phase thanks to the fabulosity of the pumpkin granola bars, that I have made several times at this point. 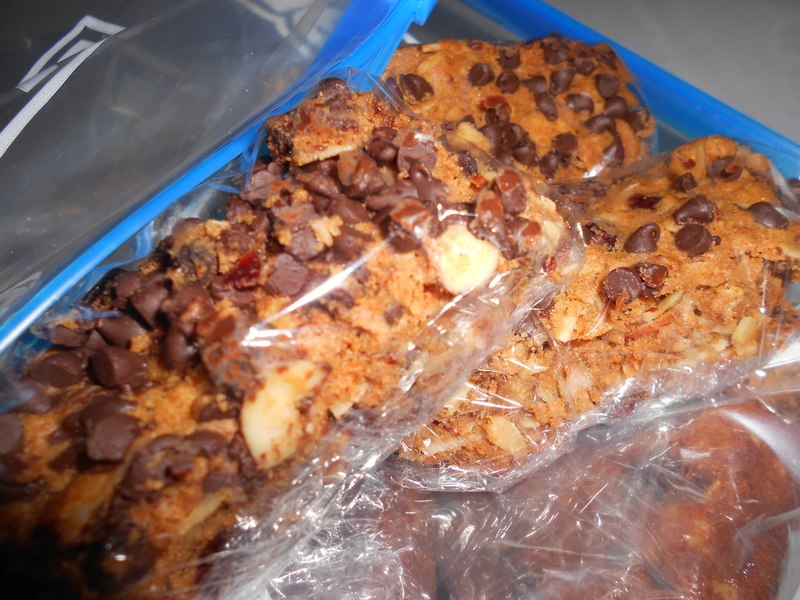 I decided to switch it up a little and try a granola bar recipe from Martha. This recipe is great because it doesn’t have a million ingredients (sometimes granola ingredients can add up quickly), and it had all the best stuff: peanut butter, dried cranberries, sliced almonds, and oats! I decided to make a couple alterations as usual. First, I felt the need to add some mini chocolate chips, of course. And second, I threw in some protein powder just for fun. I will try protein powder in anything these days. Don’t worry, I’m aware that I’m weird. Martha’s recipe only makes an 8 x 8 pan’s worth, but since I was made these for a big group I tripled the recipe and used a full cookie sheet. To make them more portable I ended up wrapping them individually! They’re a great snack when you’re on the go! 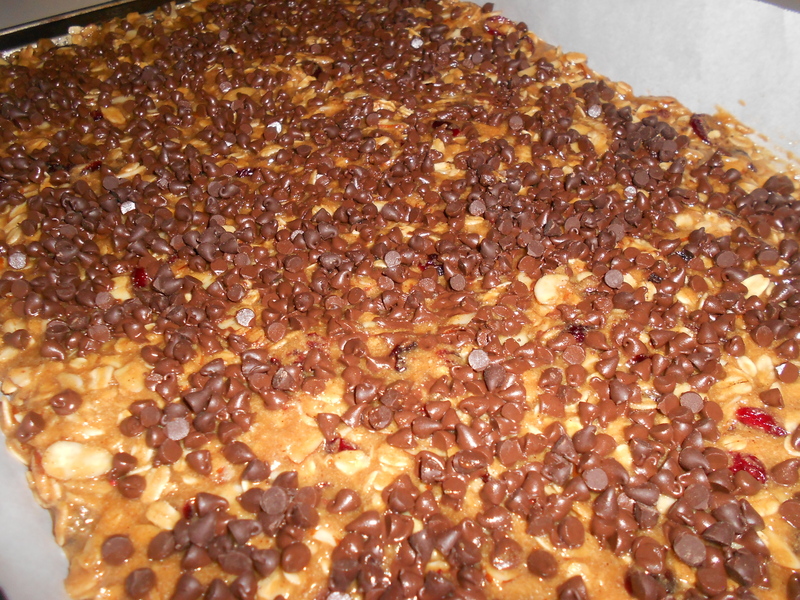 Adapted from Martha, yields about 24 bars depending how you slice them. Preheat oven to 350. Prepare a cookie sheet with parchment. 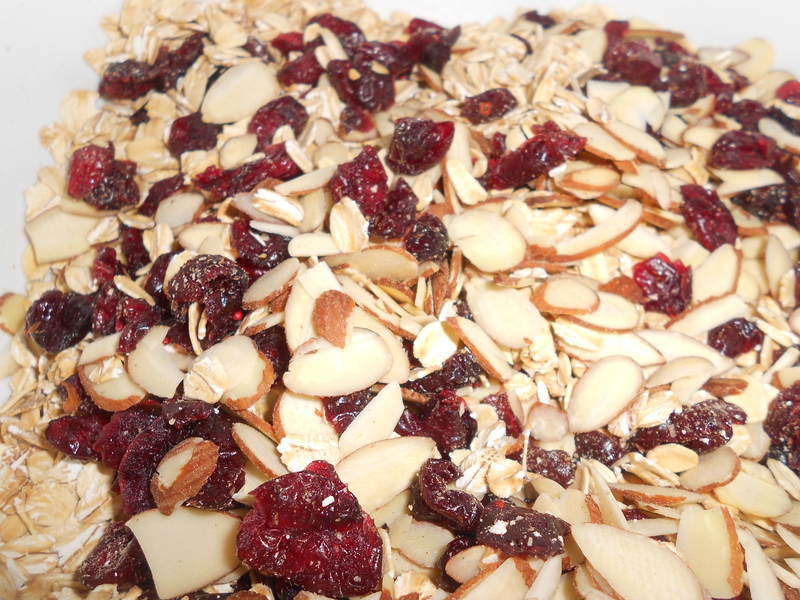 Combine the oats, almonds, cranberries, protein powder, and salt in a bowl. 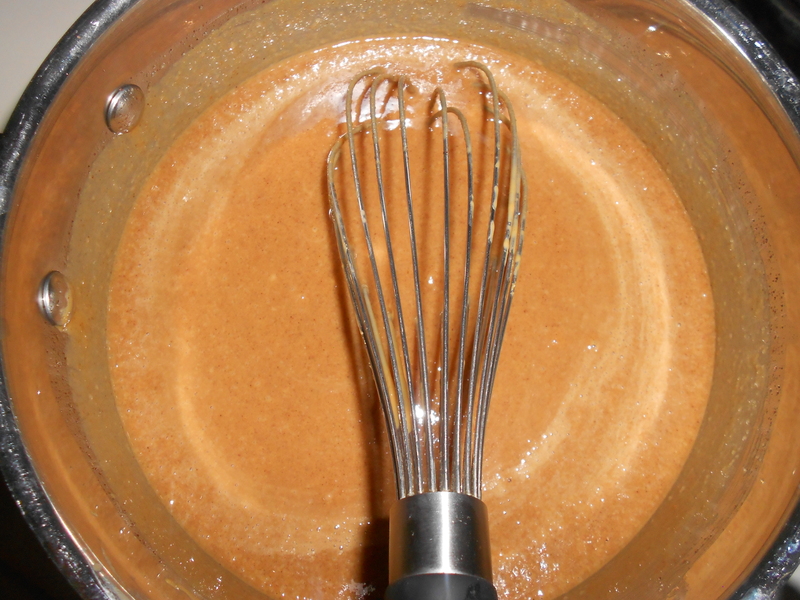 In a small pot over medium heat, combine sugar, oil, and peanut butter. Cook for about 5 minutes until brown sugar is completely melted. Pour warm mixture over oat mixture. Stir to combine. When mixture is slightly cooled add egg whites and continue to mix to ensure that the eggs don’t cook. Spread mixture out on parchment lined cookie sheet. 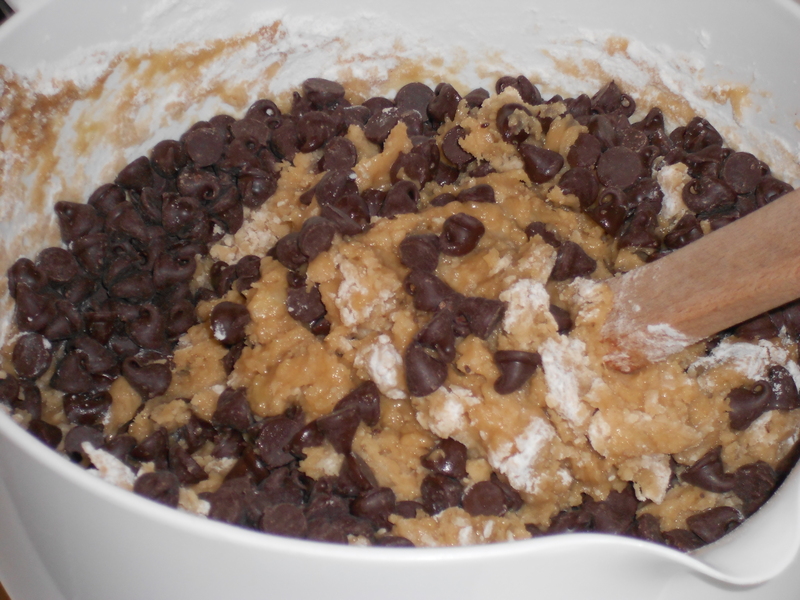 Sprinkle top with mini chocolate chips (if you add them earlier they will just melt into the mixture). So I’m back in Virginia in my own cozy apartment. I really missed my apartment when I was in Connecticut. I was living with just the bare necessities in Connecticut so I was so happy to see all of my stuff when I got home to VA.
After dumping the contents of my car into the middle of my living room, it took me just over a week to dig myself out of my own mess and clean up my apartment. In addition to unpacking from the summer I also cleaned out my closet so I could actually fit my clothes back into it. It felt so good to get rid of five large shopping bags filled to brims with old clothes that I don’t wear anymore. I hope I do this on a more regular basis in the future. 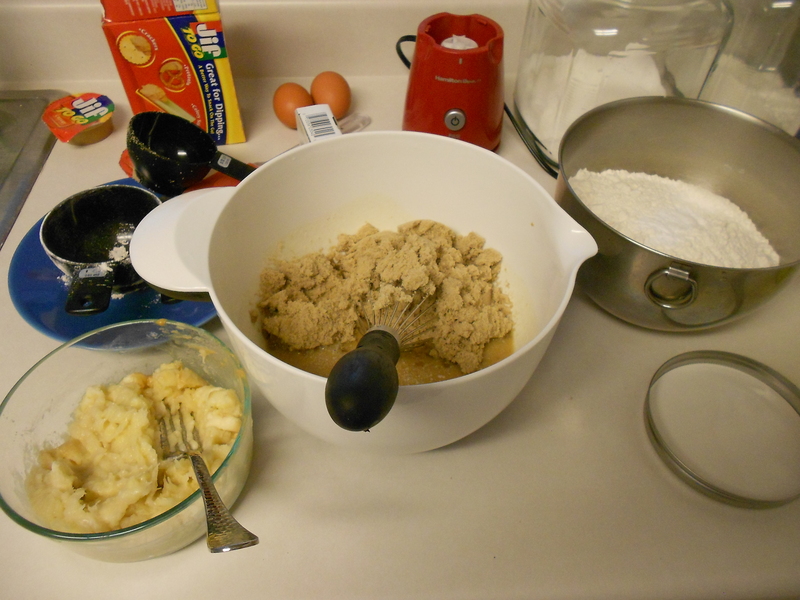 As I settle back in, I am slowly restocking the ingredients in my kitchen, and I jumped back into baking with a cookie recipe I found while perusing blogs. It’s definitely a great one for peanut butter lovers. It’s a twist on a traditional peanut butter cookie with the addition of chocolate chips and peanuts! Combine flour, baking soda, baking powder, and salt. Set aside. Cream together butter and peanut butter. Add sugars and beat until fluffy. Add in eggs one at a time and vanilla extract. Slowly add in flour mixture. 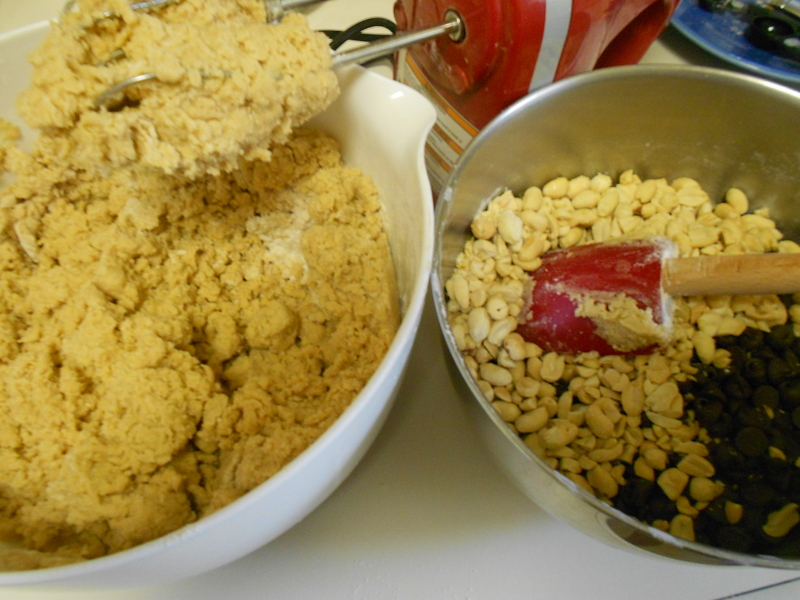 Mix until just combined, and then fold in chocolate and nuts. 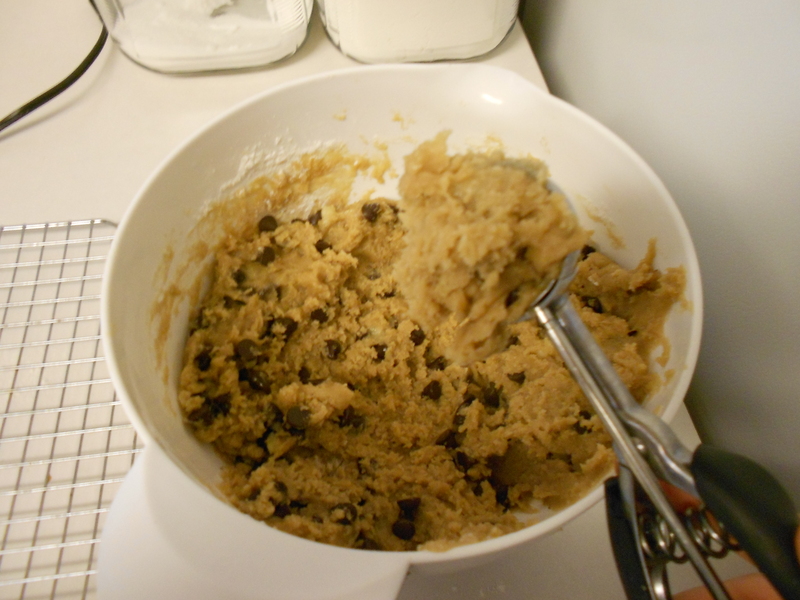 The dough will be kind of crumbly. Bake at 375 for 18-22 minutes or until golden brown. Allow to cool and enjoy!